Hello, friends! Today we have a special giveaway that involves Beck and vinyl. That got your attention, didn't it? 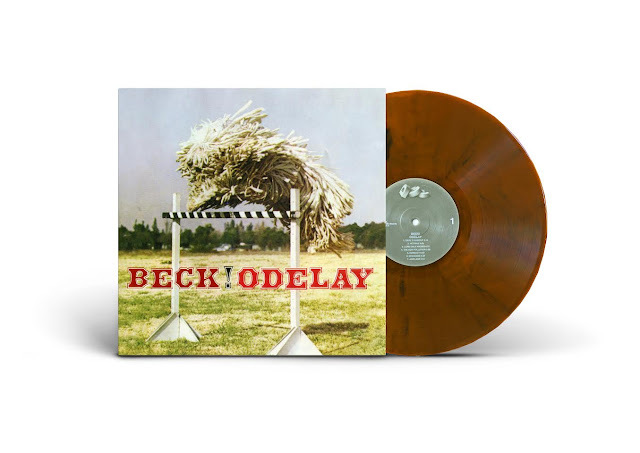 The good folks at Vinyl Me, Please (learn more about them here) are pressing and releasing an exclusive, bourbon colored marble 180g marble vinyl of Beck's historic album Odelay as their October record of the month. And we are thrilled to be giving away ONE 3-month subscription to Vinyl Me, Please. "Odelay will forever exist as the album that took Beck from a slightly off-kilter, indie kid with no guarantees of success to a rock star and one of the most important artists of the past 20 years. Those albums don't come around often so when they do we analyze, discuss and listen to them again and again. And ultimately, at Vinyl Me, Please, we celebrate them. We're thrilled to be releasing this special-edition 20th Anniversary pressing of Beck's Odelay and trust it will find a welcome place on the turntables of members around the world who value albums like this as much as we do." Details of how to enter are at the bottom, but before we get to that, let's have a look at the Odelay "unboxing" video. Tell us your top 5 albums you have on vinyl. If you don't have a vinyl collection, just tell us your top 5 albums. You can do so on our Facebook Page on this post. Contest ENDS on October 5th, 5PM Central time. We will announce the winner shortly after. GOOD LUCK!